When looking for affordable car insurance in Dunedin from one of the top-rated insurance companies in the area, make sure to call the Coleman Insurance Agency. We have nine A-rated companies and will find you an affordable auto insurance quote tailored to meet you and your family’s personal needs. Our experienced agents will help you make educated decisions based on your situation including choosing a deductible to making sure you get discounts you qualify for. At the Coleman Insurance Agency, our clients always come first. We work hard to make sure that you will have the best auto insurance experience possible. We are a car insurance agency that realizes that our success relies on you being happy with the services we provide. You can be sure that we will work hard to deliver exceptional services and give you the personal attention you deserve to show you how much we value your business. Shopping or renewing your auto insurance in Dunedin does not to be a chore you dread. Coleman Insurance Agency will go out of their way to make it easy for you to get an affordable car insurance quote just right for you. We want to make sure that when purchasing insurance from our auto insurance agency, that it is stress and headache free as possible. Call our agency today and let our experienced insurance agents offer you an affordable no hassle car insurance quote that meets your needs. Your car is importance to your mobility and usually a major investment that you want to ensure is protected by the correct kind of policy. Our insurance specialists have the knowledge and experience to make sure you get the right type of coverage at a price that fits your budget. We will help you find the best coverage for you at an affordable price whether you have an older vehicle you only want basic coverage for or a new vehicle with full protection. As a full service Dunedin auto insurance agency, we also provide commercial auto insurance to safeguard you commercial vehicles. Call us today for commercial auto insurance quotes, whether your business has a fleet or just one vehicle. Everyone at Coleman Insurance Agency is dedicated to providing competitive Dunedin car insurance quotes and policies to individuals and businesses. 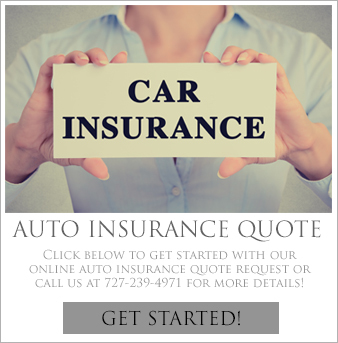 Call us today at 727-441-9911 or for your convenience you can also use our online auto insurance quote request form to get information about a policy today that will give you peace of mind because you are working with an established company that you can feel confident that you can trust doing business with.